The world's longest tunnel officially opened on Wednesday, with the trailblazing rail passage under the Swiss Alps aiming to ease transit through the heart of Europe. 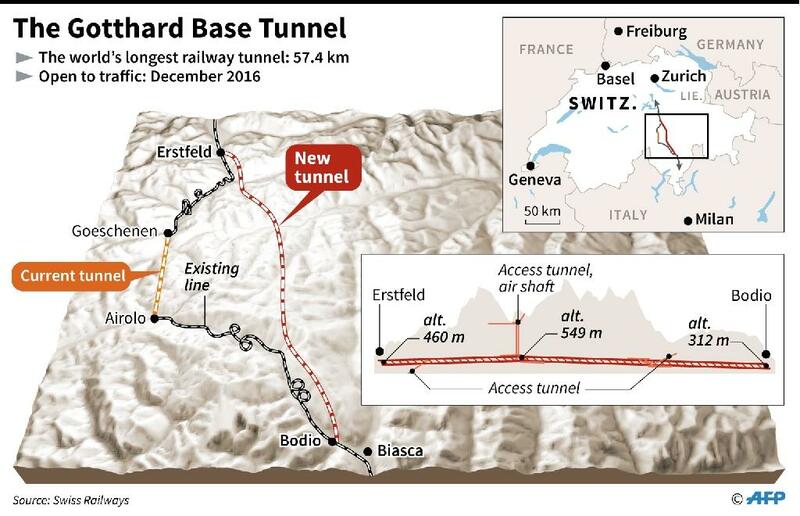 With Europe's political unity shaken by a massive migrant crisis and the looming threat of Britain's EU exit, Swiss President Johann Schneider-Ammann said the tunnel would "join the people and the economies" of Europe. 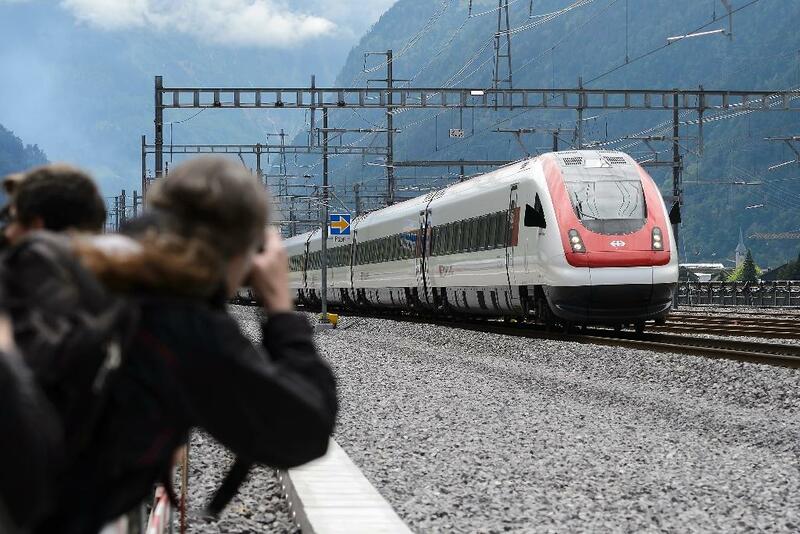 He spoke as the first train made a ceremonial run through the 57-kilometre (35-mile) Gotthard Base Tunnel (GBT) beneath the region's spectacular mountain peaks, with European leaders on board. 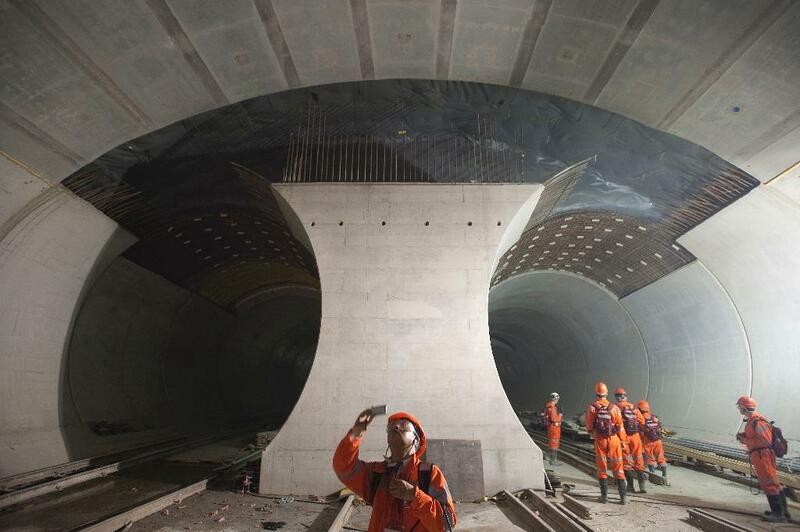 The tunnel took 17 years to build, at a cost of over 12 billion Swiss francs ($12 billion, 11 billion euros), with 125 labourers rotating in three shifts to lay the tunnel's slab track in 43,800 hours of non-stop work, according to the Swiss rail service. German Chancellor Angela Merkel, French President Francois Hollande and Italian Prime Minister Matteo Renzi were among the passengers on the first train Wednesday. The trio sat together in a first-class carriage, along with Schneider-Ammann, and chatted over glasses of water through the 20-minute journey from Erstfeld in the central canton of Uri southward to Ticino canton. Speaking at ceremony in the town Pollegio after the inaugural trip, Hollande urged British voters to recall their closeness to Europe on the June 23 Brexit vote. 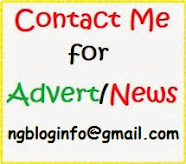 "We are as united as we have ever been," Hollande said, drawing a parallel between the GBT and the 1994 opening of the Channel Tunnel, which connected Paris and London by high-speed rail and fostered fresh ties between the two capitals. "I hope that the British will remember (that closeness) when the day comes" to cast their vote, he said. Merkel told Swiss broadcaster ATS the network it was "marvellous" to think about taking a journey with 2000 metres of mountain rock above her head. 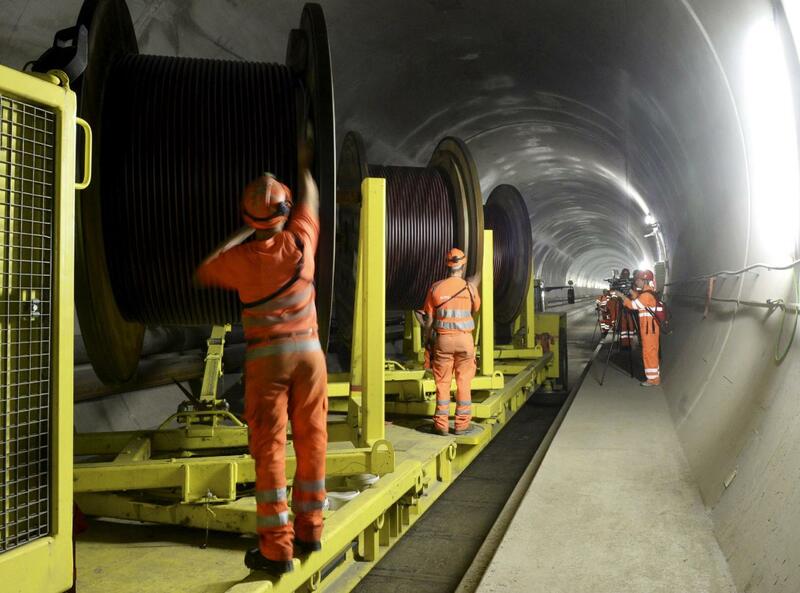 The tunnel was entirely funded by non-EU member Switzerland, but leaders from the bloc have hailed it for improving connectivity from Rotterdam to the Adriatic at a time when the continent's divisions have dominated headlines. Travel through the picturesque Alpine region, by rail or by road, requires taking a zigzag and undulating route. It should also make rail freight more efficient -- partly by supporting heavier cargo, reducing the number of smoke-spewing lorries on the roads and in turn improving traffic and curbing pollution. Wednesday's inauguration featured a ceremony with at times abstract choreography and elaborately costumed dancers, including an angel-type figure floating above orange-clad workers. 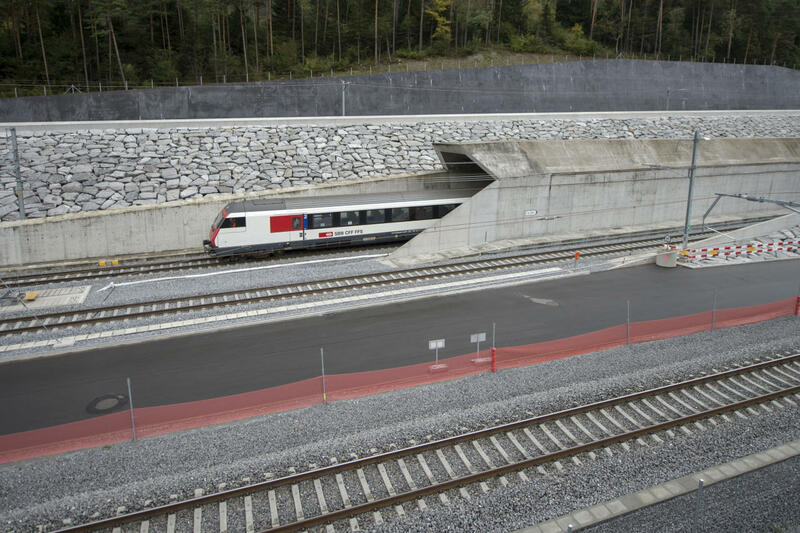 The Gotthard Tunnel was largely made possible by technical advances in tunnel-boring machines, which replaced the costly and dangerous blast-and-drill method. With its official opening, the GBT has surpassed Japan's 53.9-kilometre Seikan tunnel as the world's longest train tunnel. 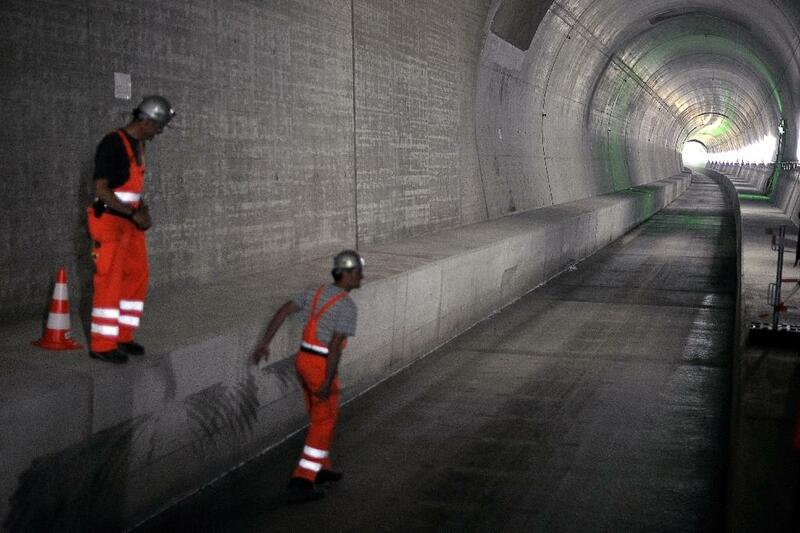 The 50.5-kilometre Channel Tunnel has been bumped into third place.